. . .Mr. Grimm sat with his elbows on his knees, idly twisting a seal ring on his little finger. The searching eyes of the ambassador found his face blankly inscrutable. "Diplomatic representatives in Washington have certain obligations to this government," the young man reminded him. "We—that is, the government of the United States—undertake to guarantee the personal safety of every accredited representative; in return for that protection we must insist upon the name and identity of a dangerous person who may be known to any foreign representative. Understand, please, I'm not asserting that Miss Thorne is a dangerous person. You are sponsor for her here. Is she, in every way, worthy of your protection?" "Yes," said the ambassador flatly. "I can take it, then, that the introduction she brought to you is from a person whose position is high enough to insure Miss Thorne's position?" Reads somewhat like a movie script, I could actually see the action played out in my head on an old black and white television set. Classically interesting, fast-paced, filled with oodles of characters, a page-turning mystery. This was a fun story, but was also one of the rare times when reading it a century (or so) late is a negative -- because its best qualities have been reused by so many other authors! Considering when it was written, it was an interesting concept-geopolitically-that could almost be a foreshadowing for today's world. 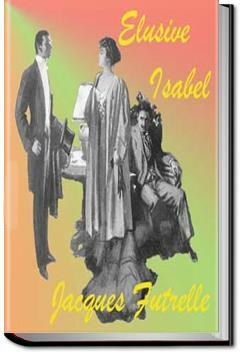 It is a very stylized novel in keeping with the time it was written.